The event will be held from Friday to December 31 at True Branding Shop ICONSIAM, the company said in a press release issued on Friday. Vichaow Rakphongphairoj, True Corporation president, said: "TrueMove H, in partnership with our global partners including leading manufacturers of telecommunication devices, has succeeded in developing and demonstrating continuous trials of 5G technology since late 2017. 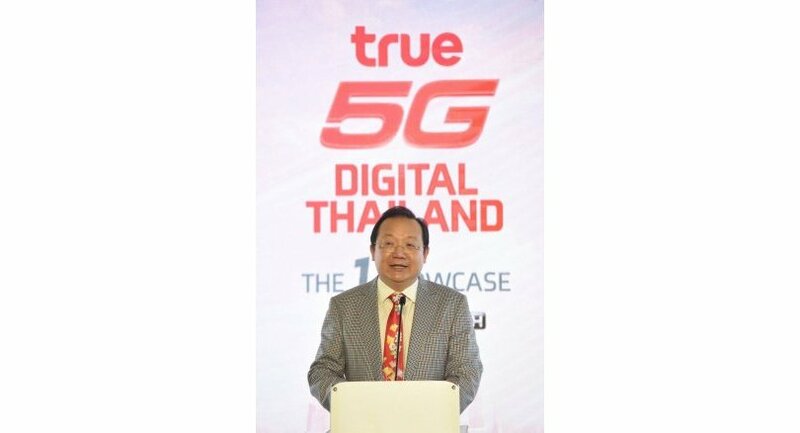 “Currently, TrueMove H was granted permission from the NBTC to undergo a demonstration of our 5G technology using the 28-GHz spectrum which is considered an important stepping stone in connecting Thais to the digital world, changing people's daily lifestyles and, most importantly, revolutionising industrial operations through a more concrete and sustainable approach. As the leading mobile network provider in Thailand, TrueMove H operates diverse frequencies, ranging from 850/900/1800 to 2100 MHz." "We strongly believe that we are ready to lead the Thai people towards a complete digital lifestyle in the 5G era through our demonstration of 5G performance in a real-world environment at this event," he added. "We aim at convincing people that this event is the 'Bestination' that provides the best opportunity for everyone to learn and experience our various advanced technologies that meet all types of interests and content ranging from entertainment, sports, model cities and future transport systems as well as robotic and automated technologies, which are expected to reshape Thai people's lifestyles and revolutionize future operation systems." 5G sounds like Apple.....the improvements are likely to be significant for the vast majority of users who only use their smart phones to look at facebook or Line. Apple's "innovations" on the iPhone have become less and less significant with each passing year.